Gustafson Industries has been serving South Florida Residential and Commercial customers with quality professional Roofing since 1948. We are one of the oldest South Florida roofers. As a family-owned and operated South Florida roofing company, we stand by our word and our workmanship. We’ve got you covered…since 1948! Gustafson Roofing, Inc. provides a complete range of new roofing systems and roof repair services. In addition to Re-Roofs and Roof Leak Repairs, Gustafson Roofing, Inc. also does Roof Maintenance Inspections, Roof Recovery & Restoration, Roof Tile Glazing, Roof Treatments, and Energy Saving Attic Insulation. Ever wonder how healthy your roof is? Learn how we can help you from expensive surprises with our RoofLifeMaintenance Program. We are serving South Florida Residential and Commercial customers with quality professional Roofing and Painting since 1948. 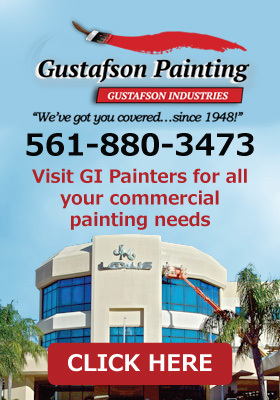 At Gustafson Roofing Industries, we provide a complete range of new roofing systems and roof maintenance services….. since 1948!.